MILWAUKEE (AP) — The American Red Cross of Wisconsin is asking fire victims in some Milwaukee parts to come to them or nearby police stations because of staff shortages — a decision that elicited outrage because the areas initially impacted are low-income and overwhelmingly black and Latino. Red Cross’ Milwaukee chapter said the change is temporary and will eventually be expanded citywide, though did not offer a timeframe for the rollout. But elected officials criticized the rollout in late December because of the impression it gave them. “The optics of it is classic red-lining. It’s not simply a race issue. I would say it’s a class issue,” said Alderman Khalif J. Rainey, who represents one of the Zip codes impacted. It was not immediately known Tuesday if the policy had been implemented anywhere else. “The Red Cross will continue to help any person in need after a home fire, regardless of their zip code,” the statement said. The Milwaukee chapter has said the initial 10 Zip codes it chose were simply the busiest. They spanned the majority black north side of the city and southern neighborhoods largely populated by Latinos. In one Zip code on the north side, 53206, nearly half of the residents live below poverty level. More affluent and largely white areas downtown and along the city’s lake shore were not part of the initial rollout. 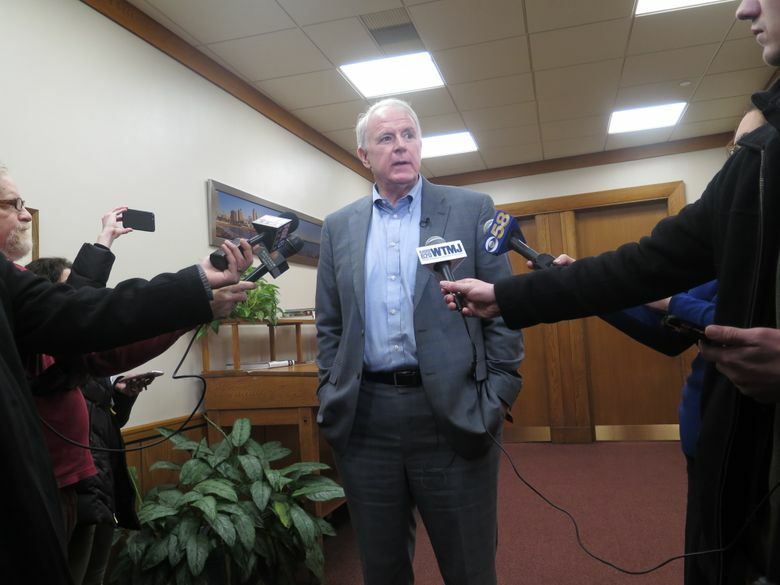 “When people looked at the map as to the areas that were not being served, I think that raised questions,” Mayor Tom Barrett said Tuesday after meeting with the Red Cross’ regional chief executive, Patty Flowers. Some of the Zip codes first selected also have among the highest crime rates in the city, leading some aldermen to speculate that the Red Cross may also be concerned about volunteer safety. Flowers said volunteer safety is always a priority but wasn’t the driving factor in the policy change. “I just don’t have enough volunteers,” Flowers said. She said the number fluctuates and could not immediately provide a breakdown of how steep the decline has been. Southeast Wisconsin has about 365 volunteers, she said. Barrett said he and Flowers spoke about race, although “not necessarily racism,” and “the need to make sure that low-income people who are the victims of fires, that they also receive the same treatment that others receive.” He said they’re looking at the issue as an opportunity to recruit more volunteers. “But I can certainly understand the position they’re in if indeed it’s come down to just fewer and fewer volunteers,” he said. Donovan said he and other aldermen have asked Red Cross representatives to speak with them Friday morning in City Hall to hear more about their new policy.